A wine fridge that knows the exact temperature for every bottle you put in it. Wine has a culture all of its own, steeped in tradition and practices passed down over the years. But wine experts will tell you it's also a science, with precise measurements and conditions required to make that perfect bottle. The new Plum wine fridge stands firmly on the side of science. The $1,499 device can hold only two bottles at once, but Plum's creators say it can make just about every aspect of serving wine better. It's a lofty claim, but after seeing what Plum can do, I'm intrigued. I really enjoy a good glass of wine -- but aside from knowing the few varietals I enjoy most, I'm fairly clueless. I don't understand what differentiates a pinot noir from a cabernet, and I don't know the ideal temperature for serving wine. White goes in the fridge, red stays on the counter. Plum CEO David Koretz says there are millions of people like me who could better enjoy wine and learn a lot more about it with this product. That's because the Plum is packed full of technology you don't typically see in most wine-serving devices. It's connected to the internet, and there are cameras inside each of the wine-bottle chambers. Once you insert a bottle of wine, the cameras scan the label and upload it to Plum's database. After about 30 seconds, the 7-inch touchscreen on the front of the fridge tells you exactly which wine you've loaded up. From there, Plum will adjust each of the wine chambers to the proper temperature for the bottle you've put in. Each compartment is totally sealed off from the other, so you can chill a white wine while slightly cooling a red at the same time. Koretz says Plum can recognize 220 different varietals of wine and adjust to the optimal serving temperature for whichever bottle you have. If you don't care much about wine, this certainly won't persuade you to spend $1,499 on the Plum (though you probably weren't in the market for such a device in the first place). But Koretz says that in a taste test with a dozen ordinary wine-drinkers, every single one was able to recognize that a wine tasted best when chilled to its ideal temperature. And that's not Plum's only trick, either. There's also an intriguing internal setup that lets you pop in a bottle of wine and have it stay fresh for about 90 days. Sure, most people don't need that long to drink a bottle of wine, but there are circumstances when this could come in handy (for example, if you have a particularly high-end bottle you sample only on special occasions). David Koretz says the idea is to let you drink wine at your own pace and not worry about the bottle going bad. People pour out wine all the time because they open it, want just a glass or two, and never get around to finishing the bottle. Plum's preservation system means you can crack open a bottle and drink at your own pace. 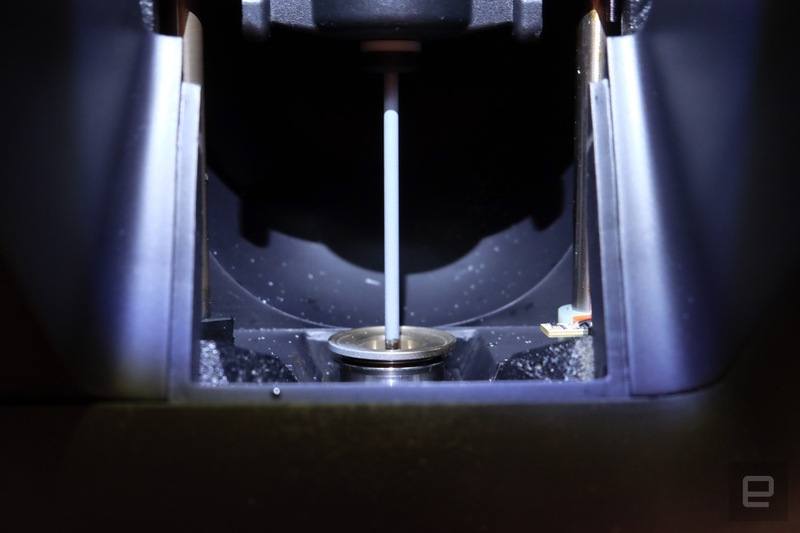 The system preserves wine by first puncturing the cork or cap of a bottle with a dual-core, stainless steel needle. Puncturing the closure rather than removing it entirely keeps the wine from oxidizing. Plum then pumps in argon gas to pressurize the bottle. From there, the wine travels through stainless steel to the tap (using steel throughout the process is another way to keep wine from oxidizing). 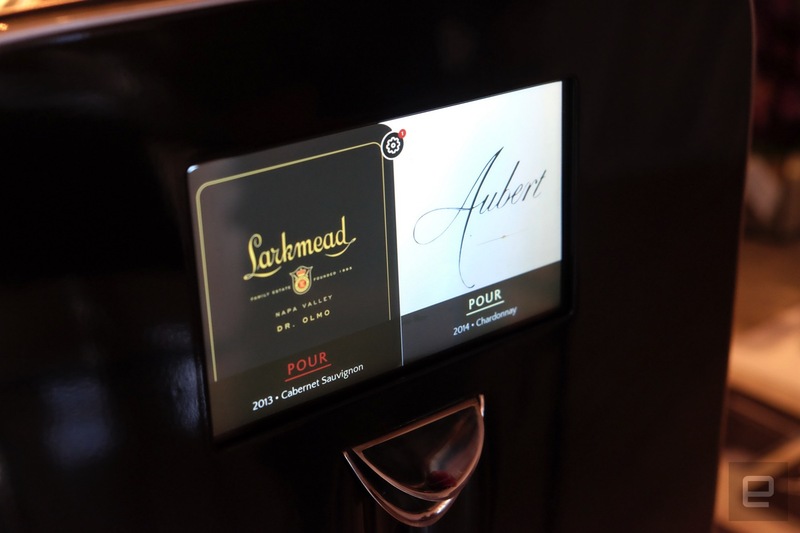 When you're ready to actually drink the wine, you just tap the "pour" button on the touchscreen, which lights up when you're nearby, thanks to a proximity sensor. You can either pour a small 1-ounce sample or a full 5-ounce glass, and the system lets you adjust each of those sizes to suit your taste. 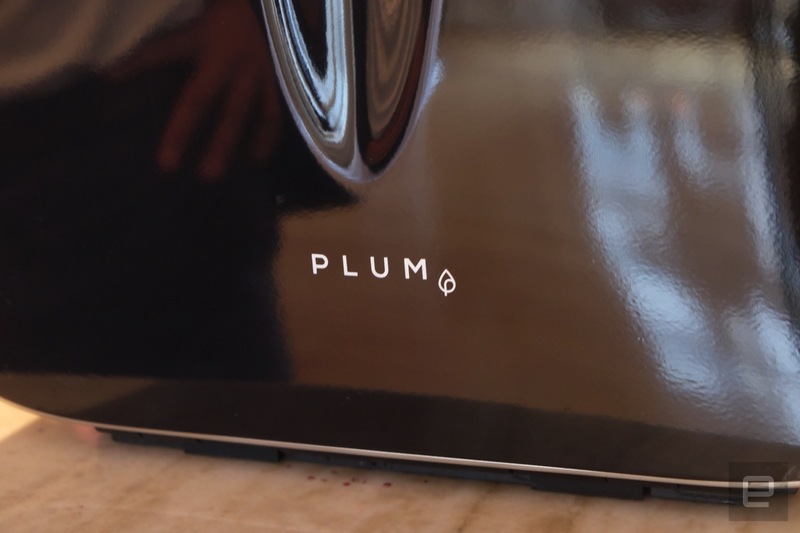 Indeed, Plum is pretty customizable overall -- if you prefer your wine a little warmer or cooler than the recommended temperature that the device pulls down, you can adjust it as you see fit. The system then remembers that you like your chardonnay a few degrees cooler than the default setting and will set all future bottles to that temperature. Plum's internet connectivity comes into play in a few other ways. Once you have wine loaded into the machine, you can tap the screen to get details about the varietal and winemaker -- there are reviews, info on where the wine came from and info on what to look for while you're drinking. The Plum also saves your wine-drinking history and uploads it to an account you can create, so if you particularly enjoy a certain bottle, you can go back and find it. For someone like me who regularly enjoys a wine and then promptly forgets about it, this would come in pretty handy. That seems to be the entire premise of the Plum. It's clearly a luxury item, meant for wine drinkers who are at least semiserious about the experience. 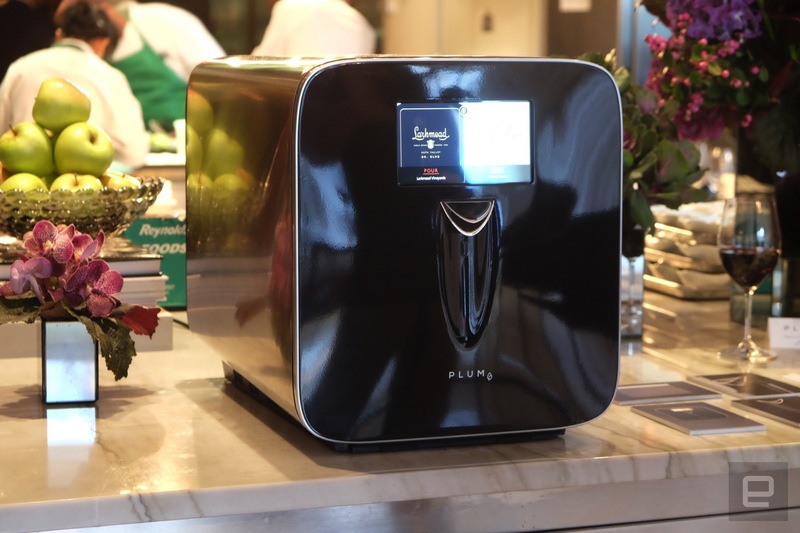 At $1,499, this isn't going to be a mass-market device -- but there are already plenty of wine-dispensing and preserving systems out there. As someone who enjoys both wine and technology, using Plum sounds like an intriguing proposition, even if it's out of my price range. Having something that uses the internet and its technology to make wine taste better and make me more knowledgeable would be great -- and even though I can't justify its cost, there are plenty of people who can.